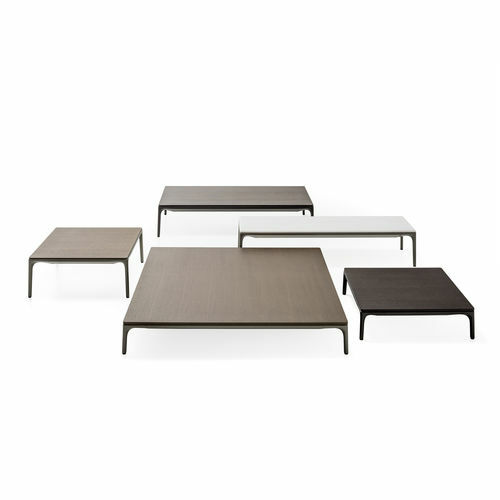 Yale and Yale X collection is completed with a wide family of versatile and functional low tables. They are either rectangular or square-shaped and they are proposed with new finishes and the addition of noble and precious materials for the top. That’s a more innovative, highly refined solution, that interprets contemporary trends and lifestyles. Thanks to the wide range of finishes and materials, Yale low tables fit in any type of environment. 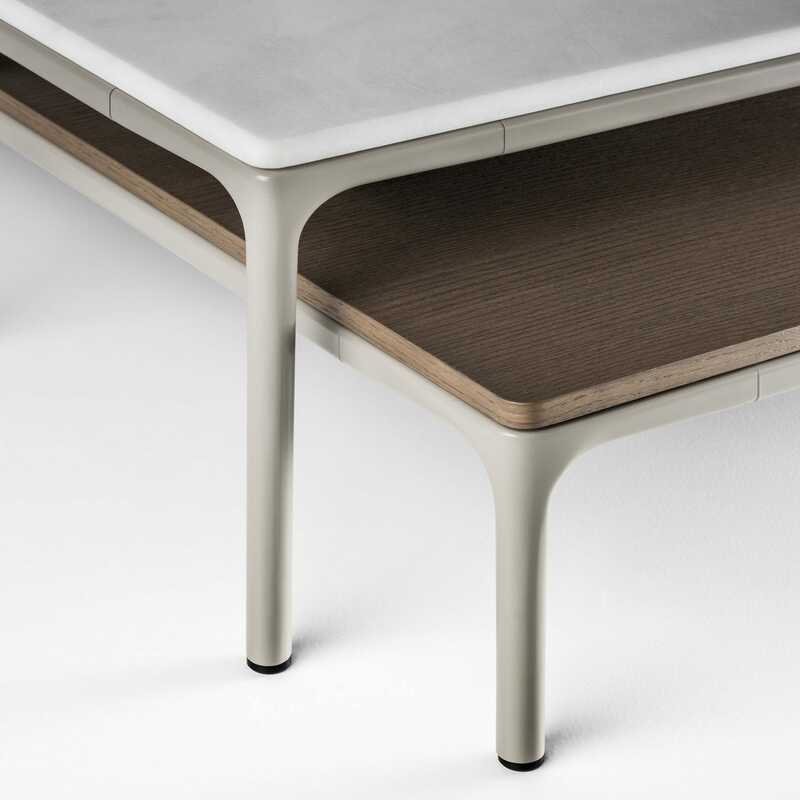 Yale low table enables ì to play with different heights and materials by juxtaposing and overlapping multiple elements. Yale low coffee tables feature the same design of the Yale and Yale X sofa frame. Frame in extruded aluminium and legs in die-cast aluminium, lacquered matt white, black, stone grey and anthracite grey. Tops available in 3 different finishes and materials: in white resin; open pore brushed oak wood, available in the colour light, mocha and matt anthracite grey; matt or gloss white Namibia marble, matt or gloss white Carrara marble, matt or gloss medium grey Bardiglio marble, matt black Sahara marble.